CHICAGO FOOD FILM FESTIVAL: DIG IN! Food is more than just something you eat. To many, it is a passion. That is why George Motz, hamburger expert and host of the Travel Channel’s Burger Land, created the Food Film Festival. Through documentaries and short films the festival features the best in food cinema. While the audience is watching the mouthwatering food on the screen, Motz and company serve up the entrees creating a unique, multi-sensory experience. Originally just for New Yorker’s, the festival has been on the move, and while the New York Food Festival may have just ended, it will be setting up shop later this week in Chicago. Press Pass LA had the chance to sit down with Motz to talk about his favorite dishes and the future of the festival. PPLA: What was your inspiration for creating the Food Film Festival? MOTZ: It started out about seven years ago when I did a film called Hamburger America and I did a showing at my friend’s outdoor restaurant in New York. My friend decided we should have people eat while they saw the movie and, even in the rain, 250 people showed up. We got a great reception. So I thought a film festival would be a good idea. Keep in mind, this was in a time when no was really thinking about where their food came from, it wasn’t like today. PPLA: What have been some of your favorite dishes? MOTZ: Oh wow, there have been so many. Last month we flew in ramen fanatic chef Keizo Shimamoto’s and his Ramen Experience. He came in and made homemade ramen for the entire audience, it was incredible. Another time we showed a movie about mistsuras, an annual food festival held in Peru. So we brought in the best Pervuian caterer in New York and we had a mistura right there after the screening. There have been so many it’s really hard to choose. 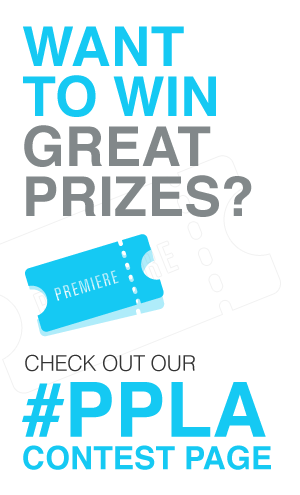 PPLA: How do you decide which films and restaurants get featured? MOTZ: The film has to be great, we don’t want to show garbage. Even though we’re a food event at our core, we’re still a film festival and I don’t want to show bad movies. The films can be one minute or an hour and half just so long as they celebrate food. It helps if they are educational and about something new. We show films that make people enjoy food and celebrate it. It’s a lot of fun to teach know-it-all New Yorker’s new stuff, and this is coming from one of the biggest know-it-all New Yorkers. PPLA: What do you see for the future of the festival? MOTZ: We just announced that we are expanding to Charleston, South Carolina next year. We always go where we have family, it makes things easier. I think we take the In n’ Out restaurant approach, never go someplace where you don’t have roots. The Chicago Food Film Festival will be in Chicago Nov.15-17. For more information visit TheFoodFilmFestival.com.